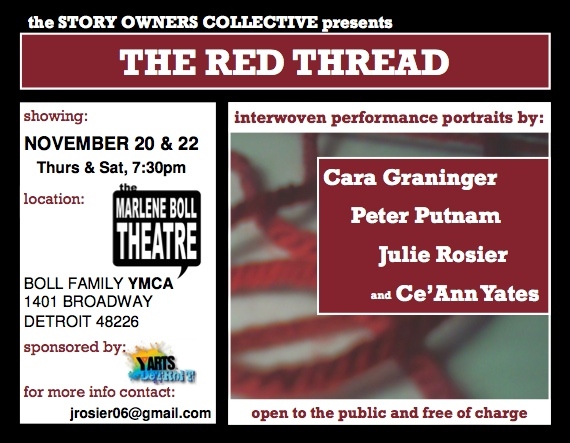 Listen to Detroit public radio show Detroit Today Interview with Julie Rosier about The Red Thread. Read the Detroit Free Press Interview with Story Owners Collective’s founder, Julie Rosier, as she discusses The Red Thread. Read about the process on the Boggs Center Blog, from the initial ideas about Performing Activism to the November Detroit Premiere announcement. I think that this is very powerful!